When Ella Appleby’s employer turns up dead, she knows what will be come of her….she will be out in the cold without a second thought unless she thinks of something quick. Ella wakes her sister, Sadie, and together the loot her employers mansion and head for the glitz and glamour of 17th century London. But when they arrive, they are met with anything but opportunity. Work is hard to find and the sisters are forced to take any employment they can get. Luckily they both find work at a wig shop and are able to rent a small room. Though their loggings and income are meager, Sadie is simply happy to be with her beloved sister again. Ella had been working as a maid in a large home back in Westmoreland, and unlike her sister, Ella wants something better. To her, London is a city of opportunity and she is willing to do anything to fulfill her grand ambitions. Ella is beautiful and ruthless…a deadly combo. A chance encounter puts Ella in the path of a well to do pawnbroker, Jay Whitgift, who is looking for a sales girl to work in his new ladies emporium, The Gilded Lily. Ella jumps at the chance for something better than the mediocre jobs she has been doing. It becomes quickly apparent that London is not going to be able to hide the sisters for long. Notices start going up all over the city offering a reward and a description of the sisters. Unlike the beautiful Ella, Sadie has a port wine birth make on her face….this mark singles her out to everyone. The law quickly start closing in on the two sisters and then a harsh winter hits and with the harsh winter comes strife between the once loving sisters. Sadie is resentful that Ella gets to work at the Gilded Lily, while she can’t leave the house without being recognized. Ella becomes equally frustrated that Sadie refuses to hide her birthmark. Soon, Ella begins spending more time at the Lily and with Jay….and there is more to the dashing man who first appeared at the wig shop than meets the eye…..Jay has ties to London’s seedy underworld and it looks like he might be using Ella to help further his own ambitions. Can the sisters escape both the law and London’s criminal syndicate or will one or both of them catch up to the girls? For me, Sadie was easily the most likable character. I could sympathize with her and liked how she wasn’t just a push over, eclipsed by her elder sister. She had the potential to be looked over as a character because Ella’s was so strong comparatively, but I found that as the story went on Sadie showed her strength more than Ella. I never really warmed up to Ella. She came across as such a bully that I could never really sympathize with her. I felt some compassion for her after getting to know her ‘story’ but over all I just never felt like she treated Sadie with the love and affection that she claimed to have for her. I had hoped this book would have more romance as the story went on. I could sense romantic undertones but over all this was more a story about adventure and survival than love which was fine, but I thought since some romance was introduced, as a reader, I wanted more. I thought the pawnshop angle was new and interesting. I think it added a nice criminal element to the story and really brought out the gritty feel of the city and the period. I loved that the Gilded Lily shop was the ‘front’ for the criminal world…I learned a lot about the period makeup and hygiene which I found fascinating. I am not a 17th century English history buff by any stretch of the measure so this was a delightful bit of reading for me, Swift clearly did her research on this period, especially ladies cosmetics etc. The only thing that I struggled with in the book (besides the fact that I never cared for Ella), was I felt like I was missing some key points of the story line and the character back stories. I didn’t realize until halfway through the book that Swift’s other novel The Lady’s Slipper fills in some of those gaps. 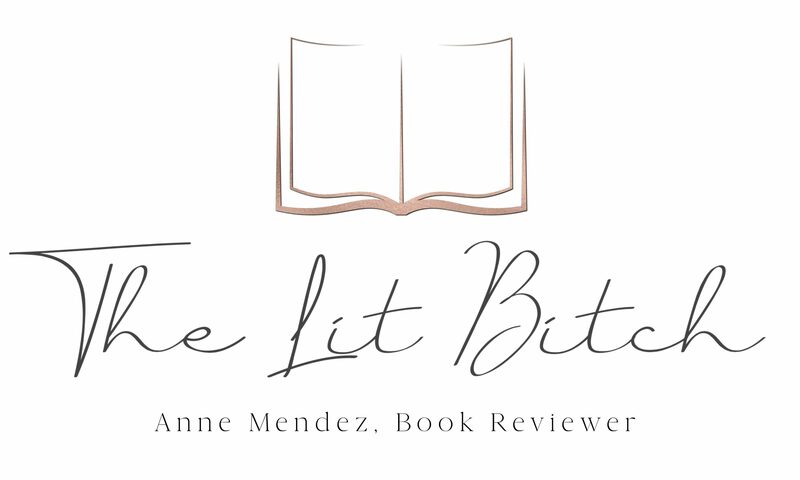 I thought this was a stand alone book…while it could be a stand alone, it sounds like some of the characters and parts of the plot are rooted in The Lady’s Slipper. I am definitely going to read that book so I can have a better understanding of the characters and plot. Overall this book was an adventure! I felt the urgency, anxiety, and fear that the sisters were experiencing about being caught. I felt the tension grow between them and their relationship change….Swift nailed the sisters relationship dynamics. I loved the setting and suspense of the story! A true page turner! 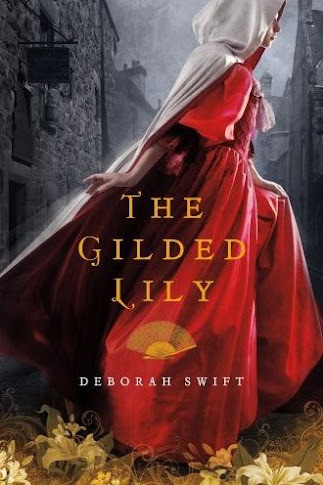 I am participating in The Gilded Lily Virtual Book Tour so be sure to check back for a chance to win a copy of The Gilded Lily and an interview with Deborah Swift! You can’t hate someone if you know their story.